Happy St. Patrick’s Day, hope you all have a lucky day! I’m passing on the good luck by sharing this card duo I made with the Amazing Life stamp set and the brand new Sale-A-Bration Co-ordination Storybook Punch….gosh thats a mouthful! Celebrating all things Irish i’m using a mix of Call Me Clover and Granny Apple Green for colouring the shamrocks from the Amazing Life stamp set. I used the Stampin’ Blends for the colouring which did take me a whole evening but it was a very relaxing one. For this first card I covered my whole background in the stamped and coloured shamrocks. I used the Good Luck greeting from Amazing Life and stamped it in Call Me Clover. I punched the greeting out with the Storybook punch and then punched out an additional shape in Call Me Clover cardstock, cut in half this makes the perfect border to lift the greeting punch. To finish this card I added three of the enamel dots from the Happiness Blooms collection. For the second card I added a strip of the Call Me Clover polka dot paper from the 2018 – 2020 In-Colour DSP stack to the bottom of the card and seperated this from my stamping with a strip of Granny Apple Green cardstock. 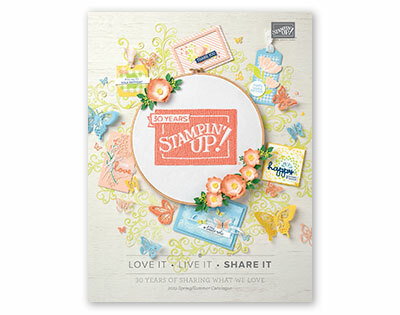 Hope you’ve enjoyed todays projects and join me again tomorrow for some more Stampin’ Up! inspiration. Today I just wanted to make a card which shows off my favourite pattern in the All My Love DSP, this red floral is gorgeous I would love to have it as wallpaper in my bedroom. I’ll have to settle for layers on cards though I think. I’m not normally a person who gravitates towards the stamp sets which contain large greetings as I struggle with how to use them but this greeting from Amazing Life works really well this paper and I feel it makes the perfect card to send to someone special to let them know you care. I fussy cut out the banner part of the greeting just to add a little dimension to the card, maybe I should have done this in a different colour but I can’t decide, what do you think Lovely Lipstick or should I have chosen something to make it pop more. 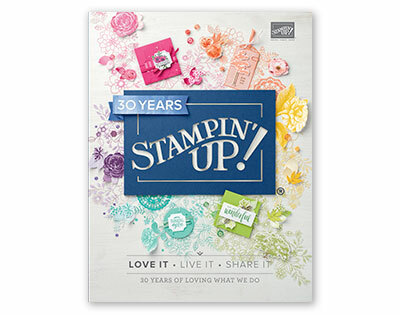 Do you have a favourite Stampin’ Up! paper, I’d love to know which is your favourite?